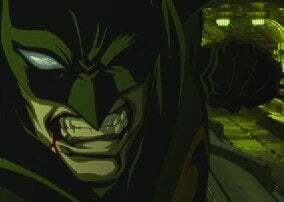 What Bat-menace will grace the big screen in the next Batman movie to come after Dark Knight? Gary Oldman, who plays good cop Jim Gordon, and director Christopher Nolan spilled the beans in an interview. But Nolan also hinted he may not be around to complete his Bat-trilogy. Also, they addressed the tricky issue of recasting the Joker, played in The Dark Knight by the late Heath Ledger. Click through for details. Oldman and Nolan confirmed the next Batman villain would be The Riddler, last played by Jim Carrey in Batman Forever. Asked whether they would recast the role of the Joker due to the sad passing of actor Heath Ledger Oldman expressed his great appreciation for Ledger's portrayal, and said, "Maybe we don't need the Joker. Because we'll have The Riddler." Fascinating, how will Nolan bring to life such an over-the-top character? Granted he brought The Joker to deep and dark reality, so The Riddler could very well be a slightly believable villain.